Running low on collection materials faster than expected? Great job! 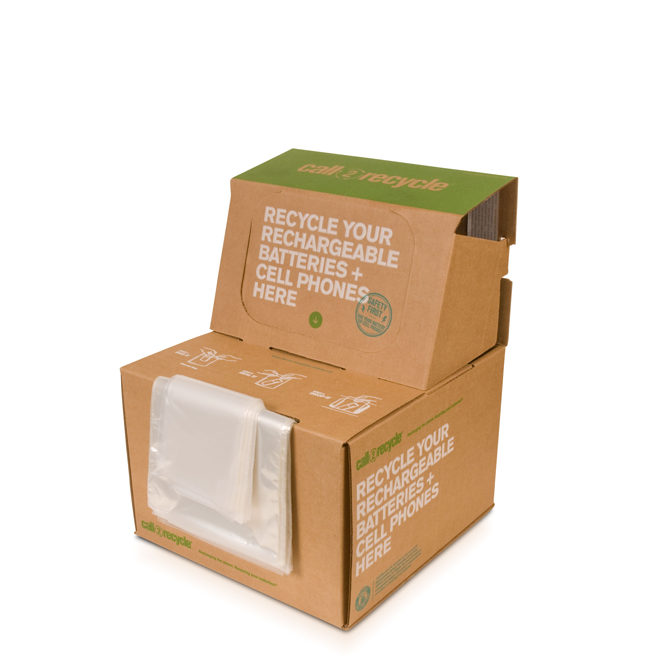 Just re-order more and you should get your collection kits within 5 to 10 business days. To request detailed vendor documentation or a full audit package, please contact our customer service team. Find useful program resources including consumer awareness materials, guidelines on the collection program, safety tips and much more by visiting the program resources page. Want to see how you are doing on collections so far? 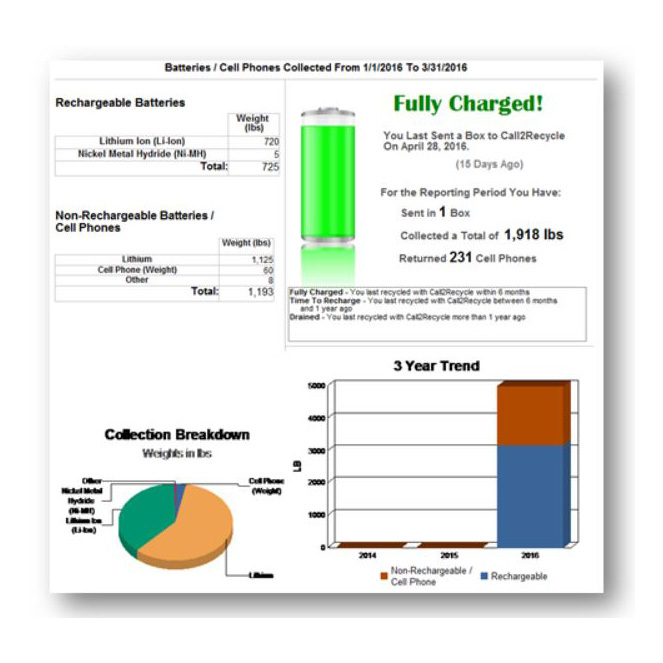 Click here and request a site summary report or a detailed collection report. 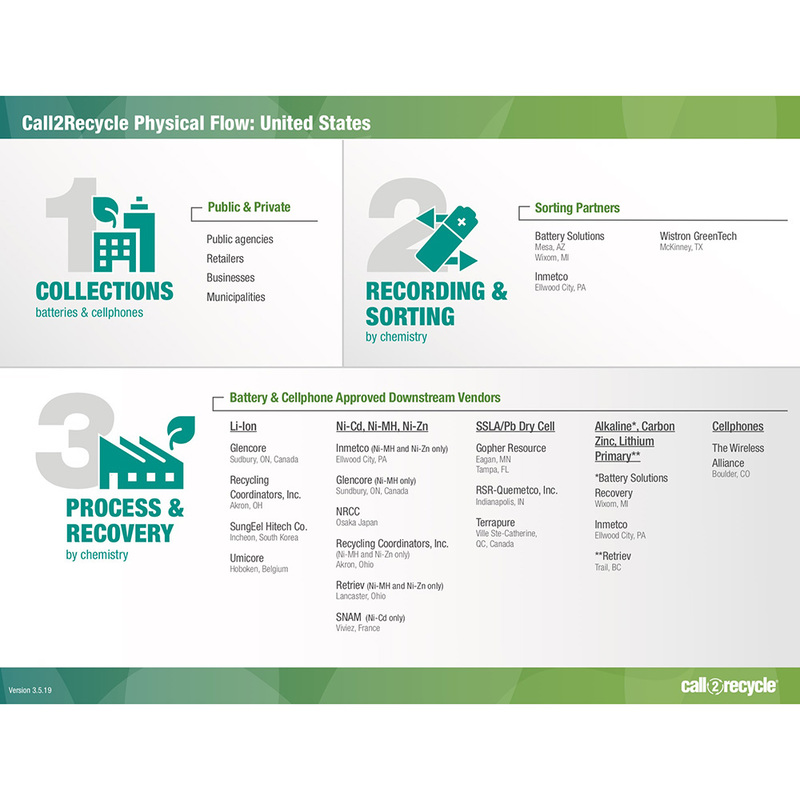 You can request up to three years of collection data. 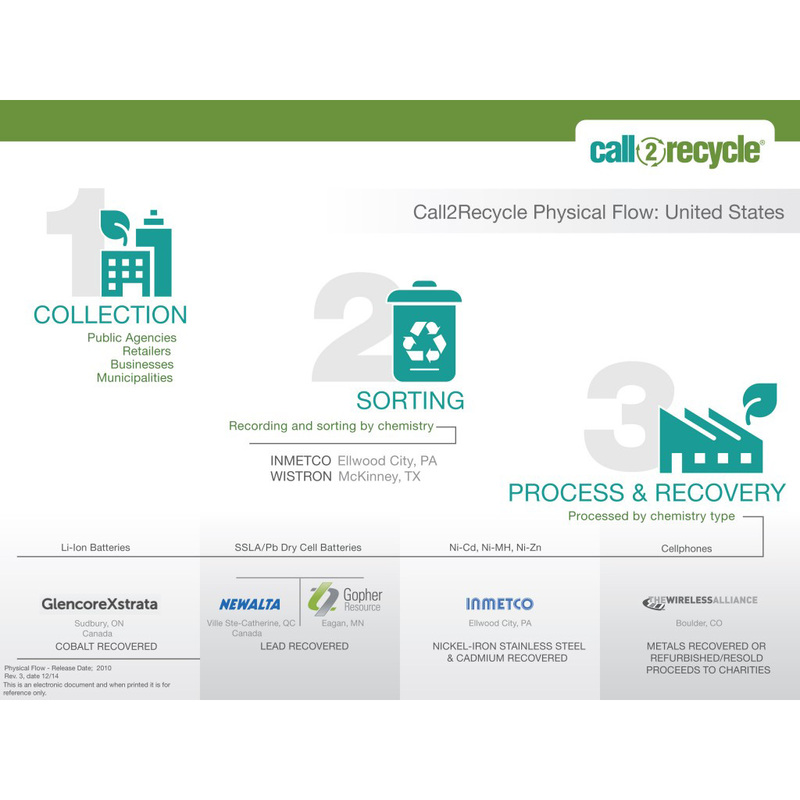 As part of our commitment to environmental excellence, we seek third-party certification to meet the highest standards of responsible recycling. You can review our documentation here. 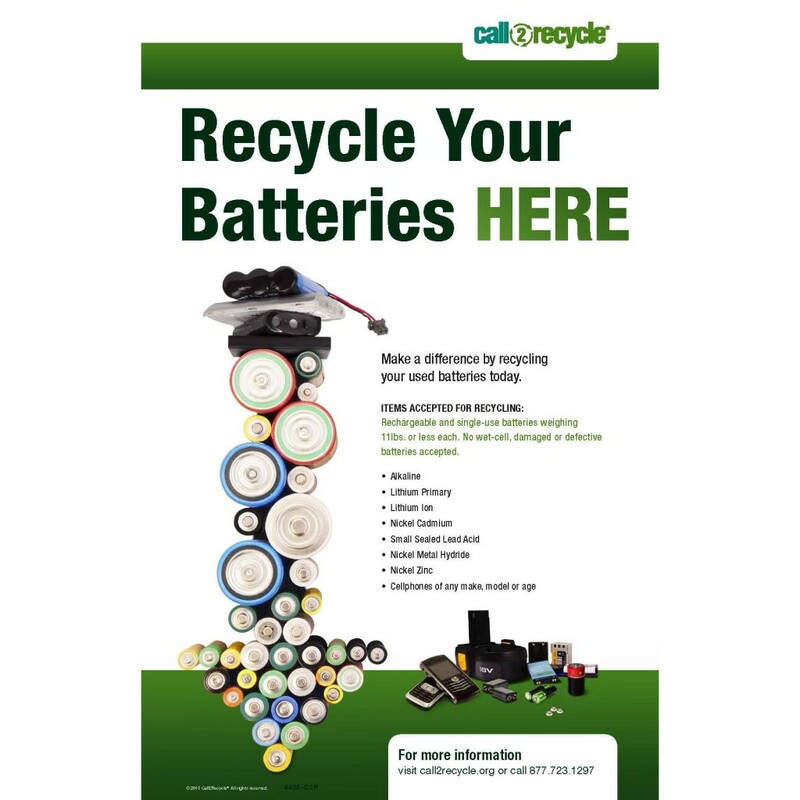 Batteries collected through the Call2Recycle program are safely transported per the USDOT standards before reaching the facilities of Call2Recycle responsible sorters and processors where they are properly recycled. Click here to view the chart.